I would have no hesitation recommending Windowseal products to anyone. The secondary glazing I got in my house has not only kept out sound, it has surprisingly made the place feel much warmer and safer too. I was finding the sound of dogs continually barking and party’s that spilled out onto the street very invasive. The inability of the original teak framed double glazed windows to keep out air and sound was causing a lot of ill will between me and my neighbour. Now that I have better sound reduction they can do what they like outside I can close my windows and we have a more cordial relationship. It makes for much better neighbourhood relations. It should be called McManus peace keeping company! Harold and his team make the whole process easy, they arrive on time and clean up after themselves, as well as charging half the price of their competitors. I was so happy with the product and service I went on to order a fly screen door for my kitchen and flyscreens for the bedroom windows as well. Wind-Do Seal Ltd personnel were very friendly and helpful people, from initial contact to delivery and fitting. We live on a very busy city street front and the traffic noise had become intolerable, especially at night over the past few years. The Secondary Glazing installed by Harold, John & co has greatly reduced the noise to almost unnoticeable, with the added benefit of better heat insulation as well. We have been heartily recommending them to family and friends. A note of thanks for the Soundproofing works you carried out in 2010 with your Secondary Glazing on some of our windows and again on the rest of the windows recently. As you know we live on a very busy road just outside of Ballinasloe. We had been suffering from road noise, particularly late night traffic resulting in lots of sleepless nights. We met at an exhibition, you called, measured, costed and then we had your Secondary Glazing fitted to some of our windows. The results were immediate. They are just great, as they have got rid of the road noise and it has made our home much warmer as well. We find our home much easier to heat. I know of many people in Ballinasloe and elsewhere, who have had their windows done as well and are completely satisfied. I have shown it to my neighbours and friends and some of them were not aware of Secondary Glazing as a sound barrier. Finally, you were nice people to deal with and the Secondary Glazing was one of our best ever investments in our lives. We wish you continued success with your valuable service. 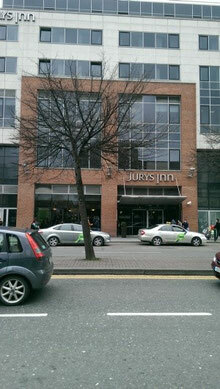 "We manage a number of apartments in Dublin city centre. We were having issues with street noise in several of the apartments that was causing ongoing issue for our tenants. 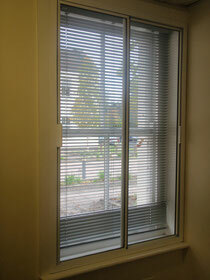 We had secondary glazing installed by Wind- Do Seal Systems and the difference has been dramatic. I was very surprised at the level of noise reduction achieved by the glazing. I would definitely recommend this company and its product"
Just a quick 'thank you' to you and your team for installing your wonderful Secondary Glazing at my house in Gurteen Village. As you know, my house is on a busy road with an ever increasing volume of traffic passing only 3 meters from the front door. I didn't want to replace the existing hardwood windows and, although they are double glazed, the noise ingress from passing trucks, cars and tractors had become intolerable. The Secondary Glazing you installed has massively reduced this noise ingress and, without exaggeration, has given me my home back. The hardwood windows to the rear are only single glazed and here the main issue was heat loss. Since you had your Secondary Glazing fitted, the house is much warmer and the condensation we had on those windows has been eliminated. Your professional team fitted the Secondary Glazing in only a few hours, with minimal disruption and zero mess. Overall, the result has well exceeded my expectations. I am delighted with it and can certainly recommend Secondary Glazing, and your Company, for maximum results with minimal disruption. I recently met you at the Permanent TSB Ideal Homes event in the RDS where we were discussing a job you did for me a few months ago on Arran Quay. I was having noise issues in my city centre Dublin apartment. The downside of city centre living is that, especially at night time, you have the noises of the city to deal with; traffic, sirens, party revelers and even sea-gulls! It used to sound like I had the windows open when I certainly hadn’t. Window Seal Systems to the rescue! You installed an ‘inner window’ in both bedrooms which act as a great noise barrier. I can slide them open in order to open/close the regular double glazed window as necessary and they look very slim and neat too. The difference that they have made is truly fantastic. I also asked you to come up with a solution for an issue I was having in the kitchen of the same apartment. The only window in it is a sky-light. I was losing a lot of heat up the sky-light chute. Now thanks to your Secondary Glaze Windows, the apartment is much quieter, warmer and I’m not losing heat unnecessarily. I found your company very easy to deal with and very good value for money. I am a genuine customer and I hope this recommendation is of use to others who may be experiencing similar noise issues. If external noise is permeating into your home and is having a negative effect on your quality of life then Harold and John at Wind-Do Seal Ltd have the answer. Having moved house in 2014 we found it extremely difficult to get used to the constant traffic noise coming from the main road. Even though we had good quality double glazing it just wasn”t enough to muffle the sound. Local glaziers suggested triple glazing (although this was only going to reduce noise levels of between 4-6%) and, amazingly, none of them had heard of Secondary Glazing. We found, through surfing the internet, that secondary glazing was indeed the answer. Sourcing a company that would do a professional job at a reasonable price led us to Wind-Do Seal Ltd and we are absolutely delighted with the results. The Windowseal System has dramatically reduced the noise levels for us. Wind-Do Seal will not be beaten on price. They are courteous people, punctual and the workmanship is top notch. Their customer service is second to none. So, if external noise pollution is a problem for you, we have no hesitation whatsoever in recommending Wind-Do Seal Ltd at www.windowsealflyscreens.com or soundproofwindows.ie. There will also be the added bonus of heat retention, draughtproofing, lower 'U'values and extra security against burglary. It is great to see an Irish company delivering international standard results. We wish Harold, John and the team continued success and thank them for a job well done. Myles Burke, Greystones, Co. Wicklow. "We had 97 bedroom windows completed with the Window Seal Secondary Glazing System in the hotel. 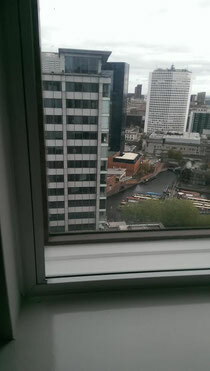 Previously we had a lot of complaints about noise coming from the surrounding streets but since the installation of the Wind-Do Seal Secondary Glazing System we have not received one complaint about noise from our guests. Excellent result! Harold and John are very professional and made the whole project run very efficiently''. As a hypnotherapist working in a busy city centre, traffic noise has always been a problem I have had to learn to live with. However, since having Secondary Glazing installed by Wind-Do Seal Ltd, noise is now very much a thing of the past. Although my windows are only feet away from a busy quayside in Cork City the background noise from outside is now quite negligible. In fact, until the work was completed, I hadn't realised how loudly my clock ticks! The company were easy to deal with and worked very tidily too. Disruption to my working week was minimal. 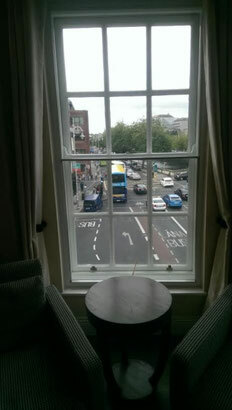 I am very happy with the instillation of the Secondary Glazing on windows at Eden Quay, Aston Quay and Parnell Square. The Secondary Glazing has fulfilled two needs for me - energy saving and also it makes the windows practically sound proof. When you close the units they shut out all and keep in the heat. The company are easy to deal with and very professional. I would and have recommended them to others. I just wanted to thank you for the work you did on my apartment in Phibsboro. I am delighted with the new Secondary Glazing on the windows. Not only do they practically eliminate the road noise but I am really pleased with the added insulation value they have provided us as well. The quality of your work is excellent, and overall I must admit you have been the most pleasant and helpful people to deal with. Rest assured I will pass your details onto anyone I know looking for solutions provided by your products. Once again, thanks a million for all your efforts. I live beside a very busy junction with very heavy traffic and consequent noise generated. I contacted window-seal to see what they had to offer. Your rep, Harold Mc Manus contacted me to arrange a suitable time. I already had Double Glazing and I wanted to find a way to minimise the noise from the street. Harold explained their Secondary Glazing System to me and provided a listing of many satisfied clients locally. I decided to get 5 windows done. We agreed a price and Harold took measurements and passed them on to his brother, John installed the Secondary Windows within a matter of weeks. Great job done. I can now sleep at the front of the house, which we hadn’t done for years because of road noise. 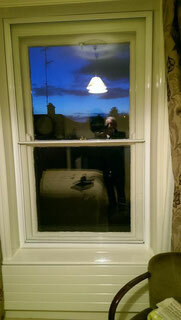 Harold McManus measured my windows in our Listed Building on waterside, Galway. The house was built circa 1740 and all windows are different. John, his brother, came along and installed the Secondary Glazing. It has been a great asset. Having already spent some considerable time and expense in releasing, refurbishing and painting the sashes and frames it was perfect timing for fitting the Secondary Windows. They made the house much warmer and we are seeing the payback on our investment in energy savings. Later on a storm door was installed outside my lovely front hardwood door. The house faces north but the cold wind no longer bothers us. The work is greatly admired by all-comers boys!! Harold's team installed Secondary Glazing externally onto four double doors at my home. The result is excellent. The Secondary Glazing keeps out the cold and protects the door framing during the winter months. They arrived on time (which is not very common these days), worked very quickly, cleaning as they went & did a very professional job - high quality work and good value for money. The work done by Harold McManus and his Window Seal team was really excellent. They were knowledgeable, polite, clean and very professional. The Sound-Proofing has made a massive difference to our apartment and once it is closed it makes it virtually impossible to hear any outside noise. We sleep easier and it's great to know we can just shut it over and block out the rest of the World. Also I meant to say it's the best money we ever spent, thanks guys!! We live in an old period house with lots of single-glazed sliding sash windows, which we cannot change, even though we didn’t wish to. We sourced Wind-Do Seal Systems locally and we have used this company on a number of occasions and have always found them reliable, efficient and extremely professional. We have had no problems in recommending them to all our friends and many have availed of their services with total success. Wind-do Seal provided a very professional service from the minute we contacted them. Their installers did a great job and left their area tidy after them. As our business is situated on a very busy and often noisy street, we saw the benefits from Day 1. We would highly recommend Wind-do Seal for window Sound Proofing. Hi - I got Secondary Glazing done in my bedroom a couple of years ago with Harold McManus and it has made a huge difference to my bedroom with regards blocking out the traffic noise from outside and with the added benefit of keeping in the heat. I have a second bedroom that I will most likely do similar to at some point over the next few years. I found Harold and his workers very helpful and the job was done with minimal disruption and no mess. Just to say that we had two bedroom windows fitted by your company and are only sorry that we didnt get itdone years ago. We sleep better and don't need to use the heater as often as we used to. The fitters were efficient and tidy. I can highly recommend them, especially if you want noise from outside reduced. we estimate the noise reduced by 60-70% or more. Thank you. Wonderful work done by efficient workers. Huge difference made to our heating bill in a 200 year old house. Our wooden windows are in perfect condition and too good to remove. It was certainly a great investment. I can highly recommend it to anyone for both Energy savings and also it keeps out noise. "Harold McManus came to Cork and measured up exactly what was needed. He was able to provide me with a quote immediately which was a great help. My secondary glazing was installed a couple of weeks afterwards. I am really happy with the quality of them. They are worth every penny and a great investment in our home. I will definitely use this company again and am already planning the next project with them." "In order to decrease the heat loss but preserve the original single glazed sash windows in our listed building, we investigated the possibility of Secondary Glazing. We invited four different companies to quote us but immediately decided to go with Window Seal Systems after a demonstration on site by Harold Mc Manus. This company stood out for both quality and price! We are absolutely delighted with our decision to invest - we have saved already a fill of oil after just 3 months, with the reduced heat losses and thermal gains; not to mention the drop in noise level from passing traffic! The installation was done by John McManus who can only be described as a "master" of his trade. The whole experience was trouble free and just what we wanted at an affordable price. Apart from the hugely reduced noise levels as a result of the Secondary Glazing being fitted in our listed building, the 'U' values on our windows has been decreased as a result of the work and all our staff are now working in much more comfortable surroundings. To express our satisfaction with Window Seal Systems and the McManus brothers, we are willing to allow our windows to be inspected by any interested party"
''Our problem was a large pair of French doors in the bedroom of our house. These doors were double glazed and fully draught-proof but were made of aluminium so the thermal break was poor. The result was that the room was always cold, difficult to heat and would not retain heat. Curtains with thermal lining made no difference. The doors themselves were a source of green mould from condensation on the metal surface. The only option seemed to be to replace the door with triple glazed PVC, which at best was going to be a very expensive option and involve removing and replacing the old door and the inevitable mess associated - not the most attractive option in your bedroom. As a last resort we investigated the Window Seal Secondary Glazing System. After consultation with this company we decided to invest and our decision has already paid off and has worked really well. The panels are fitted outside because our doors opened in. They are invisible from inside being much smaller and aesthetically appreciative. This job has made a huge difference to the room. It is now much warmer all the time, retains heat from when the heating is on. There is no longer condensation or mould on the French doors. This winter would have tried most solutions. A bonus is that the room is also much quieter. We are very pleased with the job and have no hesitation in recommending Window Seal Secondary Glazing as a solution for existing doors or windows to eliminate draughts and retain heat." "We are writing to recommend Window Seal Systems.Harold McManus kept his appointment and was very thorough in his explanations and about the storm windows we wanted installed. He gave us all the information we were looking for hence we placed the order. The workmen arrived on time were very professional, quick and tidy in carrying out the task. When they left, one would not have known that workmen had been in the house.We will place more orders with them.We have been recommending to others." We have a Guesthouse in Enniskillen, situated on a very noisy road - the Secondary Glazing windows ordered from Wind-Do Seal Ltd were supplied efficiently and have completely alleviated the noise issue we were experiencing. I found John excellent to deal with and Wind-Do Seal Ltd product is top quality. I would highly recommend Wind-Do Seal Ltd, their service and their product. For reasons of heat loss and draughts we decided to upgrade our single glazed teak Georgian Bar windows to double glazed windows. Thankfully, we became aware that there was a much more suitable option, namely, Wind-Do Seal Secondary Glazing. This system would mean that we could keep our lovely teak windows and by fitting Wind-Do Seal Secondary glazing could eliminate not only the draughts, but also the noise. That was a huge bonus as we live on a road which is extremely busy with rural traffic ie: tractors, trailers, trucks etc. The noise levels could be quite disturbing. Now, with our Window Seal Secondary Windows the traffic noise has been reduced dramatically. The cost of the Secondary Glazing on all our windows, including flyscreens on selected windows, came in at a little over half the price we were quoted for conventional double glazing. Harold McManus, who was our initial contact, came and measured the windows giving us a detailed written quotation there and then. Just a few weeks later we got the call from John Mc Manus to say he would be calling with the windows. The finished product, a sliding system to match the existing window profiles, was fitted in just one day and is really fantastic both in appearance and quality. Harold and John McManus were extremely efficient in all aspects of the contract and were a pleasure to deal with. I would definitely recommend them and Window Seal Ltd.
Carol Kenny, Fethard, Co. Tipperary. 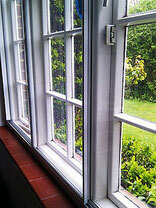 'I am pleased with the Secondary Glazing firm Window Seal Ltd that installed our glazing. The representatives and the installers were exceedingly punctual. They both arrived on schedule, effectively conducted their business and tidied up before leaving. I was so pleased with their work, I encouraged two members of my family to follow our example in their homes. The Window Seal Secondary Glazing has performed splendidly for us, in keeping out draughts, it also makes the house warmer, easier to heat and retains the heat for much longer after the heating goes off and has already more than repaid the original investment. The traffic noise in my area has virtually disappeared as a result of their work in my home. We have all this without having to replace our lovely windows'. Dear Harold,I would like to let you know of my appreciation of the secondary glazing which you fitted in my house. It was done promptly with all questions answered immediately. The fitting was done with the minimum mess and I only had to wait three weeks for the making of the frames. The finished windows are not intrusive and are so much cheaper than replacement. The noise from outside is almost non-existent and there is no condensation now. All in all, I am very pleased that I found Wind-do Seal and would recommend them to anyone with window problems. A representative of the firm who replaced some of my doors called and looked at the secondary glazing and said that he had not seen it before but thought it was a very good system and the price very reasonable. 'We just wanted to let you know how very pleased we are with the Secondary Glazing you installed in our house and our 'Granny flat' recently, effectively giving us inexpensive Triple Glazing on our Double Glazed windows with the bonus of sound proofing added at no extra cost! I, Jack Carney, Rathleek, Dunboyne, Co Meath, had Secondary Glazingjob done on a house of mine at 23, Palmerstown Rd,Rathmines,Dublin 6 by John & Harold McManus, Window Seal Systems. As it is a listed house it was ideal, and made it draught proof,sound proof, and also raised the 'U' value.I found their fitters very tidy, efficient and carried out their work in a workman-like manner. I have no hesitation in recommending them, and have done to neighbours. 'I contracted Window Seal Systems to do Secondary Glazing work on all of my sliding sash windows and some draughtproofing on my hardwood doors in 2012 and I was totally satisfied with every aspect of the Company's work from start until completion. The work done by Wind-Do Seal was excellent and made a huge difference to the level of heat in my large rambling house. The workmanship was first class and done within the time agreed with the minimum of inconvenience to my busy family. I was consulted as to my satisfaction with the work at different times: while the work was being undertaken and since. I found the people involved courteous and interested in doing the best job possible. I can definitely recommend Wind-Do Seal Systems without hesitation as my house is now much warmer, much more comfortable to live in and the noise levels experienced from the main road outside beforehand have been greatly reduced for us. I made a great decision in contracting this company to do the work for me'. ..on our Fly Screen Solutions..
Discovering the fly screens from Wind-Do Seal Ltd has been a Dod send to be honest. Having fitted the screens to my farm house and retreat accommodation bedroom windows, we all now sleep in comfort with open windows, protected from midges and deterring bat's at night which were a huge issue for us. Fitting the screens was a clean and simple exercise. They are robust, yet aesthetically appreciative as they match the window colour and are easy to remove to store in winter if required. Our clientele have passed comment on how well they look on the windows. Excellent service from the company and most helpful advisors . I was just doing some dusting today and hoovered out the odd fly that had died over the winter in the frames of my Velux windows. I can't say how much I love my Flydoor and window screens you fitted in my house. They are just priceless. It is now ten years since I had them fitted and they are still A1. They allow me to ventilate my home whenever I wish and not have to suffer the flies that used to congregate around the lights and fill the rooms at night. Thanks very much for a great product and service you have. We had this company fit midge screens to our windows while they were working locally with the food businesses and other private homes. They are just great. They slide over the window openings when we need them and we take them away for the winter months. We recently had our back door fitted with a beautiful Midge Screen Door and we are delighted. We have no problem recommending Window Seal for their midge screens and doors. Continued success lads!! We had a terrible problem weith flies in our home. We liked to leave our back door open for fresh air. In 2015 we had a Flydoor fitted by Harold McManus and his Wind-Do Seal Team. They provided a very prompt fitting and a good back up service too. The Fly Door is very important to our home as we can now leave our back door open and not have to worry about flies, cats, insects or rodents coming in, while enjoying fresh air. The door itself is lovely and matches the colour of my back door. I have no hesitation in recommending this company and their products. Ann, New Inn, Ballinasloe, Co. Galway. I am delighted with the Fly Screen Door installed by Harold McManus. I found my contact with Mr. McManus to be professional, efficient and pleasant. The Screen door, which was fitted quite quickly, has worked out well and I have had no difficulties with it. I would have no hesitation in recommending Mr. McManus and this product. Wind-Do Seal Ltd installed fly screens on my doors & windows in my home earlier this year. I am verry happy with the work and would recommend Wind-Do Seal Ltd. I found the company a pleasure to deal with and both their initial representative and then the fitter, Harold & John Mc manus, who are brothers were both very professional in their modus operandi!! I just wanted to let you know how thankful we were to find you in the first instance and then to have your quality work carried out was just great. I would recommend Harold McManus of Wind Do Seal and his team of workers. They came, measured up and made practical suggestions to us and then came a few weeks later by appointment, fitted all and left the place as clean as they got it. We are very happy with their work. 'From time to time when you put a bit of effort into sourcing good products, rather than just going for the first one you see, you come across 'great' products and services. In our case one such occasion occurred a few years ago, when we got fly screens and fly doors fitted at our home in Barna, Galway by Wind-Do Seal Ltd.
As we were suffering from infestations of flies and midges and had tried aerosol sprays, pest control systems etc which were partially successful, we eventually sourced the fly screens which are the total answer. Manufactured locally, in Galway - they have proven to be the perfect answer. We can now open our windows and doors to enjoy fresh air without those midges coming in and having to hoover up all the time. They were made to match the colour of our windows and doors, so you hardly know they are there. A great one off investment. My sister-in-law was similarly impressed with her fly screens. Well done to John and Harold. 'I have been dealing with Window Seal Flyscreens for over 12 Years. I would highly recommend them for their superior product, excellent service and attention to detail. We have always found them to be honest, fair and above all, they provide a great after sales service. If a screen gets damaged as it can in a very busy business they will be there to fix it or send you the parts to allow you to do the repair. The main frame of the screens have never had to be repaired as they are of solid construction. It`s great that this Irish company take such pride in there work. "It was a pleasure doing business with you Harold, your brother and your staff. Your fitters were clean and efficient and did a very good job.Your flyscreens are great quality and have made our home very comfortable and airy. I can open my windows now and have fresh air 'without those rotten flys'! I live near a landfill facility, the property of the Local Authority for the past 20 years. The residents of this area had a major infestation of flies in their homes. I live in the country with plenty fresh air but I could not open the windows or doors of my house because the house would swarm with flies. I made various enquiries about flyscreens and then I contacted Wind-Do Seal Ltd. Within a few days their representative, Harold McManus called down to give me advice on their flyscreen products and costs involved in having them fitted. After consultation I agreed to have the work carried out on my windows, front and back doors. I must thank and compliment his team of fitters including his brother John, for their promptness, professionalism and the manner in which they carry out their work. The quality seems to be top class, very sturdy frames and they look great. The Flydoors and the window screens are great value for the comfort they give. I can now open my doors and windows again and enjoy fresh air without them flies. The Flyscreens are the only answer for anyone with fly problems as it keeps them out and saves me having to use those aerosol cans. It was great to deal with nice people from Wind-Do Seal Ltd. Several of my neighbours followed suit and had their homes screened as well. Continued success to Wind-Do Seal with their good product! I lived in an old house in the middle of Sligo. It was so noisy. Our home was situated near to a nightclub, a friary with the usual bell-ringing and street noise from traffic. Harold Mc Manus solved my problem with internal glazing. This not alone gave me peace & quiet, but I had a much warmer house as well!! I now have a house near Lough Gill, perfect Peace but loads of flies. Who did I call - Harold Mc Manus!! Harold and his team arrived, measured my window openings and my door. He left and a few weeks later his brother, John and helper arrived with designer screens for all my windows and doors. Fantastic job. Fair price. I have recommended Harold to others and I have had great reports back on his work. "Harold McManus installed fly screen on doors & windows in my home this year. 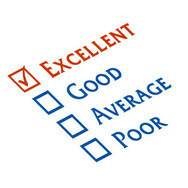 I am verry happy with the work and would recommend this company." 'I am writing to you to say how very pleased I am with the Flydoor you fitted for me. Its just great. I thought about it for a long time and I can now leave my back door open, with fresh air coming in without the fear of flies, wasps, cats or vermin coming in. All around I am very satisfied with your work. The Flydoor looks well and I would highly recommend you, your brother John who did a great job of fitting and your services'. You came and measured up, fixed a fitting date and ye didn't let me down. 'We had been looking for a good Fly Screen Door for sometime due to having large swarms of midges at night time in the summer. We found a company called Wind- Do Seal Ltd on the Internet and made contact with them. They were very prompt in calling to assess our needs. They measured up our door and priced the job on site. To our delight the specially made ''midge screen'' door arrived within a few weeks and was fitted by two of their professional fitters with no fuss and no mess. The door blended in nicely with our mahogany door with fittings to suit. Overall the fly screen door has been a great success for us and has given us the freedom to leave our door open in summer without being pestered by flies. It is animal friendly also and so easy to maintain. Great value for money as we feel it has paid for its self. Superb product and service. Thank you Harold, John and staff'. I run a busy Guest House in Athlone Co. Westmeath. We have a very good repeat business as we are centrally located in middle of town. The only one drawback was that some clientele, not used to busy traffic commented about street noise. I had come across Secondary Windows in cities around the world so I contacted Wind-Do Seal Ltd, an Irish company, based in Kildare, Mayo and Galway who specialise in Secondary Glazing / Sound Proofing of windows. I had all my road facing windows kitted out with Secondary Glazing and the results were immediate. Comments from clientele, mostly regulars were highly complimentary - suggesting noise mediation of up to 70-80%, which I can confirm. There is also a very noticeable reduction in 'U' values as rooms are much warmer too. During fitting, there was no mess, no fuss, minimum disruption as work was done In two stages. I also had two other buildings on same street kitted out all with total success. I am happy to recommend Wind-Do Seal Ltd and their work. They (John & Harold McManus) were also very nice to deal with. They also have a very informative website with Galleries of images of work done. I am delighted with the results of my investment and get compliments daily on the comfortable nights sleep comments from my valued clientele. I am the owner of an apartment overlooking the river Liffey on Arran Quay, Dublin City Centre. Arran Quay is a busy road to the city centre with 24/7 traffic flow. When trying to sleep at night the road noise had been a huge issue for us for some time. In order to improve the amenity of the apartment, I wanted to install a Sound Proofing System on our windows to improve noise insulation. I had researched the market and I found that Wind-Do Seal was a proven and successful company, with a proven track record, a large client base, both in commercial and domestic markets and they are leaders in their particular area. My wife made a call to Wind-Do Seal and thereafter I discussed the issue of road noise with their representative, Harold McManus. Harold explained how best to achieve maximum noise insulation using their Secondary Glazing product. He explained that the optimum noise insulation would be achieved by installing a second window frame inside the existing windows with the preferred 'air gap' between the two. 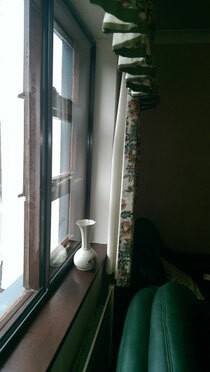 He also recommended an additional treatment to the window panes to maximise heat insulation inside the apartment. I appreciated Harold’s technical knowledge and it was obvious that he had built up an expertise over many years. Wind-Do Seal installed new internal windows within weeks from date of order as promised. Their attention to detail was second to none during the continuance of the work, there was no mess, very little inconvenience and our windows resumed normal duty on the same day. Their overall workmanship was outstanding and they look great as well. The real test, however, for us, was in relation to noise insulation. I can say that the result far exceeded my expectations. The level of noise intrusion from outside has been dramatically reduced. The road noise, which was originally just outside of our bedroom windows, as a result of the Secondary Glazing, now feels as though it has been transferred across to the other side of the river. There has been a dramatic improvement, for a very reasonable outlay. In summary, Wind-Do Seal carried out a very professional job from the outset, including the discussion of the technical specification of the new windows, their installation, workmanship and overall result. I would have no hesitation in recommending their work, both for noise insulation and energy savings. Harold McManus, along with his brother John, are outstanding leaders of the company and, in my opinion; its success derives from their attention to detail and to their valued clients. We engaged Wind-Do Seal Ltd in order to soundproof our home. From the outset, they were so easy to deal with, very responsive and delivered the service very quickly in order to accommodate the arrival of our second child. The soundproofing made an enormous difference to our home. We installed the soundproof windows on both levels of the house as we live on a very busy road in Castleknock. After installation, the road noise was barely audible and we were absolutely delighted with the result. The service provided by Wind-Do Seal Ltd was of an extremely high standard and the fitters were very neat when fitting the windows and left our property in very good condition. Overall, we were delighted with the service we received and would highly recommend Wind-Do seal Ltd.